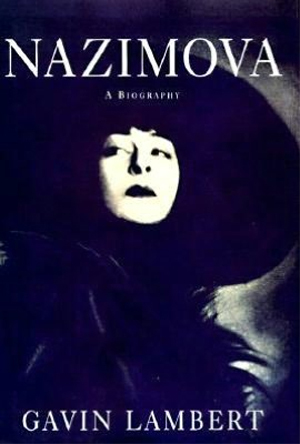 There are so few biographies of Alla Nazimova that it is easy to cast this one by Gavin Lambert, the screenwriter for “Inside Daisy Clover” as well as a biographer of Norma Shearer, as “definitive.” It is without a doubt required reading for anyone who is interested in Madame and her life as well as for all fans of Hollywood in the days of the Movie Colony and the silent film era. Nazimova comes most alive in this biography — and perhaps in her life — on stage. The descriptions of her American debut performance as Hedda Gabler and her comeback triumph (Ibsen again) in ”Ghosts” evoke the thrill that her audiences felt. Like most stars of her era, Nazimova made some silent films, but her genius was in theater. Those performances have vanished, as has another of her celebrated achievements, the Sunset Boulevard estate she called the Garden of Alla. It became a center of Hollywood’s bohemian high life, but in 1926, engulfed by one of her recurring financial crises, Nazimova embarked on a real estate scheme to develop it as a hotel. Unfortunately, her partners were swindlers, so she saw no profits from the rechristened Garden of Allah. However, she elected to live her last years in one of the 24 bungalows that were built on the grounds. The Garden of Allah, itself a landmark of the Hollywood glamour of the 30’s, was torn down long ago. In the Hollywood of the 90’s, it has been replaced by a mini-shopping center.